Members & guests–free. While registration is not required for this event, please scroll down and you will receive an email reminder with details the week of the concert. 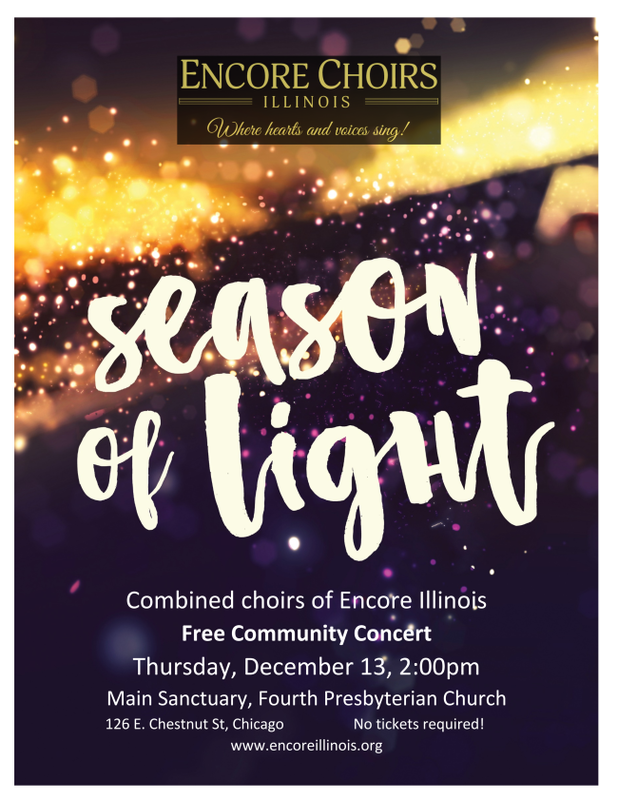 Enjoy live music this holiday season and support several Village members who will be singing with the Encore Chorale at its 2018 holiday concert, Season of Light. The performance will take place in the main Sanctuary of Fourth Presbyterian Church. The one-hour concert is free and dress is “come as you are.” All are welcome, regardless of religious affiliation.